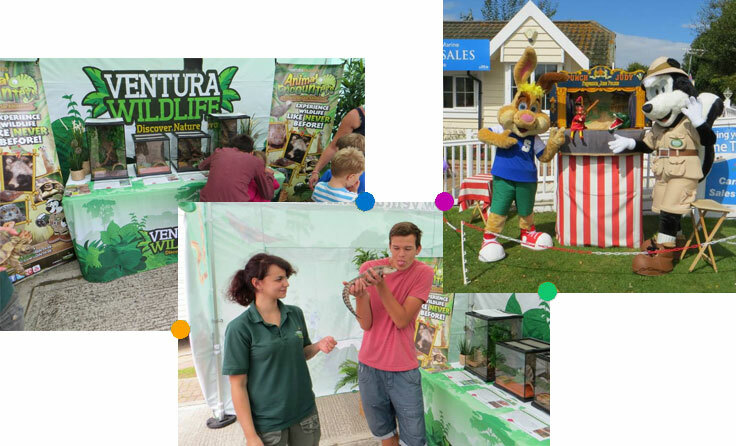 Ventura Wildlife’s Animal Encounters can provide animal encounters and displays for agricultural shows, car rallies, museums, festivals, fetes, wildlife centres, zoos, country parks, farm parks and events organisers that would like their visitors to be able to get up close and learn about real life animals. 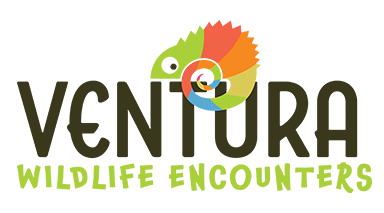 These sessions are extremely popular whilst being educational and great fun for all the family. 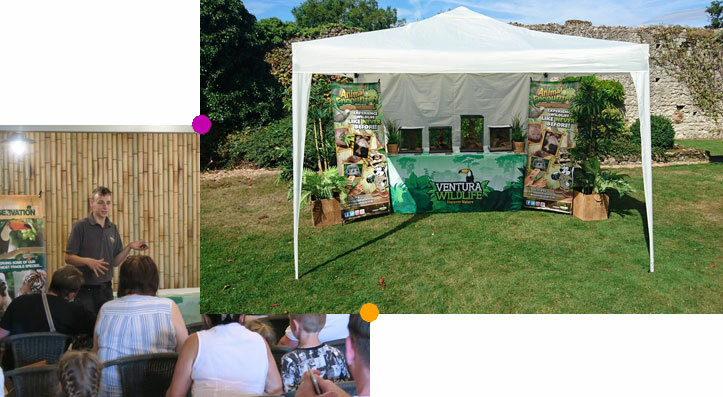 Ventura Wildlife’s Animal Encounters are ideal for corporate clients as each animal encounter is tailored to suit each individual business, venue or event creating a unique form of entertainment that is sure to capture the imagination and interest of any audience. All our events are covered by a full risk assessment and comprehensive public liability insurance..